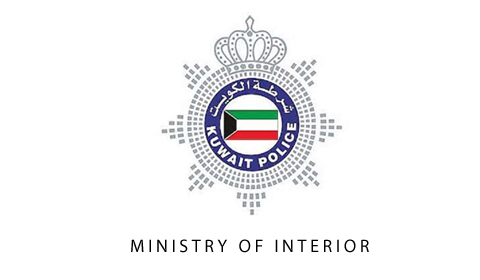 KUWAIT: Farwaniya detectives arrested three Arabs only four hours after they robbed a money exchange and stole KD 32,500, the relations and security information department at the interior ministry said. Interior Ministry operations received a call about a robbery in Jleeb Al-Shuyiukh. The man who made the call said that he was robbed while taking the money from the exchange to his vehicle. Detectives worked on the case and identified one of the suspects and arrested him at his home. He confessed to committing the robbery with two others, who were also arrested and the clothes used during the robbery were found at their residence. The money was found buried in a nearby yard. Two of the suspects were also found wanted on other cases. Fahaheel fire station men led by Lt Col Ahmad Al-Ali responded after a vehicle flipped over on Fahaheel road. An injured person was removed from the vehicle and handed to paramedics. Meanwhile, fire broke out in a restaurant at Shuhada Co-op Society. Teams from Mishref and Subhan fire stations responded, led by Major Ibrahim Al-Mahasna, putting out the fire before it spread to nearby installations. The interior ministry said social media claims about approving a new form for driving licenses that will be launched in a week are inaccurate, and an announcement will be made when they are ready. Kuwait police museum statistics show that 3,462 persons visited the museum during 2018, while the number of students received was 1,879. The police museum is an historical site located in Bneid Al-Gar. It is open all days except Sunday from 9 am to noon, and from 4 pm to 8 pm. Farwaniya municipality’s Jleeb cleanliness center removed four truckloads of vegetables and fruits and issued citations to 16 roaming vendors, who were sent to concerned authorities. Twenty cleanliness citations were issued and the site was cleaned, director of the department Saad Al-Khrainej said.